From a shapeshifting ocean's swell ("houle" in French) emerges a stark improvised thought in seven parts, aesthetically exploring depths and their formless origins. A fearless expression of a voice and body, without words; a stormy inquiry into flowing sounds and cycles of freedom; subtle metamorphoses and budding hybrid forms. "Her voice easily navigates various scales and song ideas, then at the very moment when her voice freely steps "outside" of any of those intelligible realms of sound, listeners encounter the irresistable thrill of her music." "There is an insistent meaningfulness in the wordless address Anaïs makes; the sure statement that something will be accomplished." 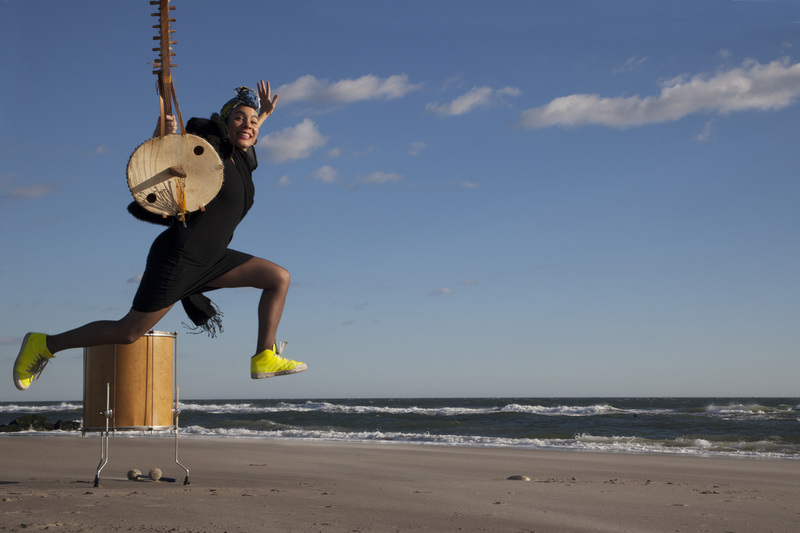 Anaïs Maviel is a vocalist, percussionist, composer, educator, curator & healer. Her work has been focusing on the function of music, understood in traditional societies as essential to settling common grounds and addressing Relation. Inspired by Edouard Glissant's reflections on Creolization, she has associated her work with the inextricable currents that move spaces and people between times and lands. Involved at the crossroads of mediums - music, visual art, dance, theater and performance art - she has been an in-demand creative force for artists such as William Parker, Larkin Grimm, Daria Faïn, Cooper-Moore to name a few. As a composer and musical director she is dedicated to substantial creations from solo to large ensembles, and to expanding the power of music as a healing & transformative act.